Ladies, and Gentlemen; Boys and Girls; Can I please have your attention? It's time for the SHOW to begin. You should have arrived here from ScrappinKaty blog. If you lose your way along the hop, just click here http://www.ifyoublingit.blogspot.com to return to the beginning. 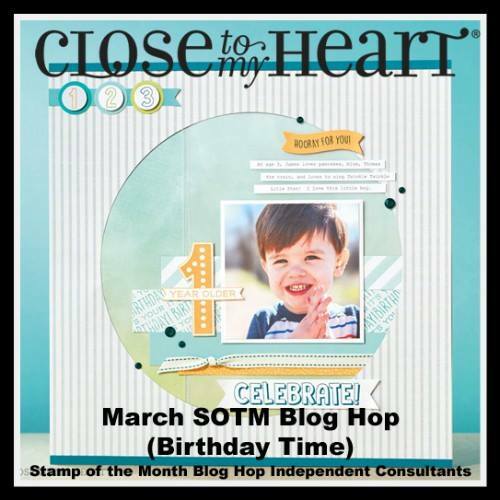 Today, I have for you a very fun but simple 12x12 double page layout featuring our March Stamp of the Month " Birthday Time". 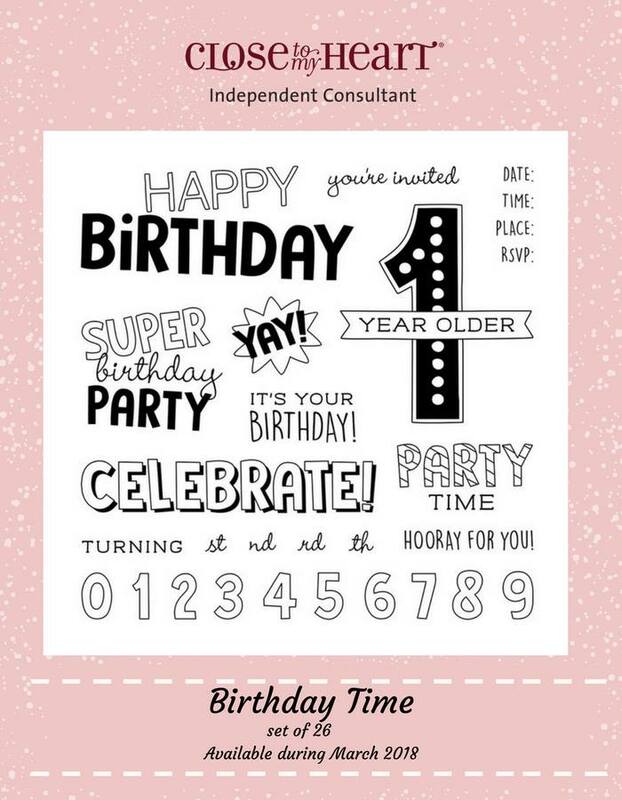 This stamp set features a series of both images and sentiments certain to make any child the hit of the show at their party. I began my project by choosing a pattern. Today's pattern is from Make it From the Heart Volume 3, Pattern 3 on page 10. 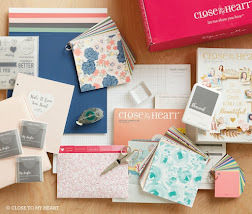 Each two page layout focuses on (4) 4x6 photos among the two pages. Next, we need to decide what papers to use for your layout. I chose a mix of solid card stocks and gold foil paper from the Step Right Up Bundle (cc2184) Constant Campaign for March. Fundamental kit (z3351) also available during the month of March. 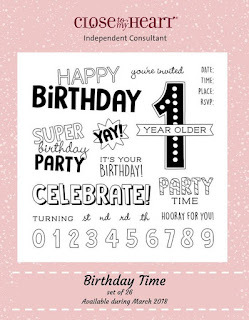 The 1 Year Older and Happy Birthday words came from Birthday Time Stamp of the Month which is our feature for this hop. I also used stamps from the Step Right Up special for title and additional embellishment. Gold Pearls were used for that added extra "bling". Finally, outline stamps were colored in with our Shin Han Markers. Shin Han Markers in the following colors: Marigold, Black, and Carmine. Thank you for allowing me to share my March Birthday Time Stamp of the Month project with you. All products are available on my site. The link is in the right side bar. 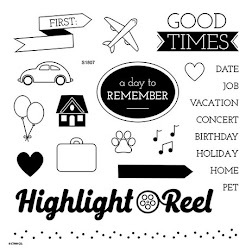 Now head on over to Gina's Little Corner of Stamping Heaven to continue along the hop. thanks so much Jen! This is the first time I've done this blog hop. I appreciate the support. Love your use of the gold foil paper. This stamp set works perfectly with this layout. I really like the way you used the "celebrate" on your layout. It's a DIE- NAMITE SALE! !